Can I buy batteries for retail from Medic Batteries? How do I enter in my promo code? Will my order be in stock? What is the MedicBatteries.com Return Policy? What is a capped 9 Volt battery? Is every 9 Volt battery the same size? Do you offer other batteries not shown in your online shopping cart? What is the shelf life for Duracell, Energizer and Rayovac batteries? My application uses (2) alkaline batteries. One of the batteries is no longer working. Can I replace only the non-working battery or must I replace both? How should I dispose of alkaline batteries? Does the quality of the battery affect product operation or only duration? How does cold weather affect batteries? How does hot weather affect batteries? Q: Can I buy batteries for retail from Medic Batteries? A: Currently, most of the batteries we stock are sold in industrial bulk packaging, not retail packaging (not blister packs). A: Medic Batteries accepts Visa, Mastercard, Discover, American Express, and Paypal. A: Yes, we work with educational institutions and government agencies requiring purchase orders. Please call us to discuss your transaction if planning to use a PO. Q: How do I enter in my promo code? 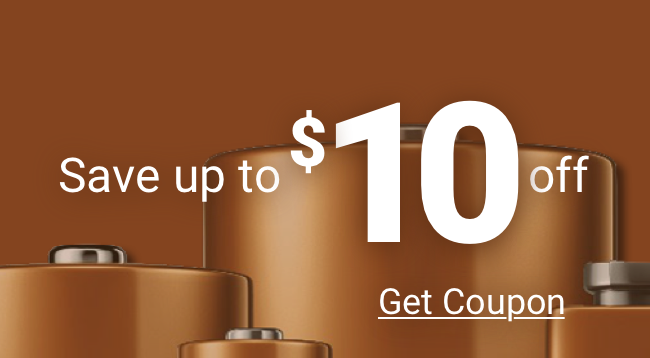 A: Once you have an item(s) in your cart, click the "View Cart" button or go to https://www.medicbatteries.com/checkout/cart and enter in the promo code. Q: Will my order be in stock? A: Over 95% of the items are in stock all the time. Most orders ship complete the same day they are received if received before 4 p.m. Eastern time. If your order can not ship complete, you will be contacted by a Customer Service representative and given an estimated ship date. We will never substitute an item without your permission. Q: What is the MedicBatteries.com Return Policy? A: Please contact customer service at 800.479.6334 to obtain a RMA (Return Material Authorization) prior to any attempt to send your product back to us. Click here for further details on our Return Policy. Q: What is a capped 9 Volt battery? A: Capped 9 Volt batteries are for applications where the 9 volt battery will be traveling extensively. The cap is a replaceable, detachable terminal protector that safeguards + and - leads from shorting out during travel against conducting metal objects such as wires, other batteries, loose change in your pocket (ouch! ), etc. Most applications do not need them but they are convenient for identifying batteries that have been used. Q: Is every 9 Volt battery the same size? A: No! 9 volt batteries vary in size from brand to brand, i.e. some brands are slightly longer than others. Refer to your device manufacturer to which battery is recommended or get in touch with us, we’ll be glad to help. For example, the Energizer 9volt and Rayovac 9volt is 1/16” larger than the Duracell Procell 9 volt. For applications where a pigtail is used this is not an issue, however when the battery is used in a cavity there could be connectivity issues because of the size difference. Q: Do you offer other batteries not shown in your online shopping cart? A: Our online shopping cart is stocked with the most popular sized batteries. We only carry Duracell, Energizer, Rayovac, Saft, and Ultralife batteries. We are pleased to help you source other batteries for your specialized needs. Please call us to check availability. A: The lifespan of a battery will vary considerably with how it is used, how it is maintained and charged, temperature, and other factors. Q: What is the shelf life for Duracell, Energizer and Rayovac batteries? A: We stock all of our Duracell, Energizer and Rayovac batteries in a state of the art, cool, dry storage facility. Each alkaline battery is date coded, monitored and accounted for to guarantee you the freshest batteries with the greatest possible power. If stored properly, you can expect at least a 4 year shelf life for alkaline batteries, 7 years for lithium batteries you purchase form Medic. Make sure batteries are not kept in the device for longer than 30 days when not in use. Q: My application uses (2) alkaline batteries. One of the batteries is no longer working. Can I replace only the non-working battery or must I replace both? A: It is always best to replace batteries in complete sets. Q: How should I dispose of alkaline batteries? A: Energizer, Duracell and Rayovac alkaline batteries do not contain toxic chemicals. They can be disposed of in your regular trash. Q: Are alkaline batteries re-chargeable? A: Alkaline batteries are non-rechargeable. Q: Does the quality of the battery affect product operation or only duration? A: The quality of the battery affects both operation and duration. As an example, flashlight performance will be better and it will last longer if you use better quality batteries. Using quality batteries can also reduce the risk of leakage. Quality of the battery is very important. Bargain batteries are not really bargains in the long run. Q: How does cold weather affect batteries? A: Cold weather does not generally affect battery performance. In fact certain batteries such as lithium batteries actually do better in extreme temperatures. Q: How does hot weather affect batteries? A: Hot temperatures are not recommended for batteries. Therefore flashlights, cameras and other battery-operated products should not be left in a vehicle in hot conditions.